1949-53: Edited University Magazine. Founded newssheet. 1954: Joined Associated Newspapers, largest publishing company as ‘part-time’ Parliament reporter while studying Law. 1960: Joined Associated Newspapers permanently. 1965: Appointed Deputy Editor, Evening Observer. 1970: Editor, Daily News, Premier English daily. 1972: Editor-in-Chief of Associated Newspapers. 1973: Newspapers nationalized by leftwing Bandaranaike regime. 1976: Joined privately owned TIMES as editor-in-Chief. 1977: Times nationalized by rightwing UNP Jayewardene government. 1978: dismissed. Founded Lanka Guardian. Currently Colombo correspondent Financial Times, London, NEWSWEEK, and Times of India. Has worked for The Economist, London. Published in New York Times, Washington Post, Le Monde Diplomatique, International Herald Tribune, Christian Science Monitor and Far Eastern Economic Review. Mervyn had so many dimensions and achievements he could have written a fuller CV. And yet his brief bio focused on his career as a print journalist. That was the axis and trajectory of his being. He wrote for publication in the print media, both mainstream newspapers and periodicals. He was a maestro of the printed word written for a general and regular reader. He was more. He was a literary critic, a film reviewer, a commentator on international affairs, a radio broadcaster on subjects ranging from poetry to world affairs, and for a while a regular commentator on international affairs (interviewed by Eric Fernando) on TV. What strikes one in his abbreviated CV is the strange symmetry of his dismissal by two (otherwise) contrasting Sri Lankan governments i.e. political Establishments. “…He [Mervyn] would have rebelled against the constricted life-style expected in careers leading to one becoming a pillar of society. His brilliant performance at Law College showed that he could have become an outstanding lawyer, and minted money. Instead he chose journalism and, as his widow Lakshmi used to bemoan, he never made enough to buy his own house. It was his vocation. He was born for journalism. …By the time of his death he [Mervyn] had come to be recognized for several years as the doyen of Sri Lankan journalists. A non-conformist, someone always on the side of the underdog, without illusions about men of power and their world, and incapable of identifying himself with any political party, perhaps it is not really surprising that he was twice booted out of editorial positions. It is not surprising from a Sri Lankan perspective. It is more than surprising, stunning in fact, from an international perspective. I started writing this as I am about to emplane for Moscow and am now reviewing it from my desk at the ambassadorial residence above the Embassy. I visited Moscow many times as a boy, starting in the mid-1960s, running through the 1970s, in the company of my parents. On those occasions my father Mervyn was either a guest of the Russian Foreign Ministry or of the APN (Novosti) news agency headed in the 1970s by the formidable Latin Americanist, Kachaturov (whom I was privileged to meet). In the early 1970s my father was the first foreign journalist to meet the iconic foreign affairs expert and leading Russian Americanist, the head of Moscow’s USA and Canada Institute, Georgi Arbatov, when he returned from the last round of talks in Helsinki before the signing of the SALT 1 agreement. I was with him and my mother in Moscow at the time. As a young undergraduate I was fortunate to meet the finest Russian foreign policy thinker, Evgeny Primakov, who went on to be Russia’s Foreign Minister and Prime Minister, when he was still Academician Primakov, head of IMEMO, in 1976 in Colombo, when my father hosted him to dinner at the Capri Club. Academician Primakov invited me to study under him at IMEMO after I graduated from Peradeniya, but another destiny intervened. In an important sense therefore, my road to Moscow has been in the footsteps of my father. In a three quarter page polemic against my appointment to Moscow, Prof Sarath Wijesooriya termed me a “political gunfighter” whose “hunting ground is politics”. This made me recall “The Gunslinger’s Prayer” in Stephen King’s The Dark Tower, in which the abiding sin which is warned against and has to be avoided, is having “forgotten the face of my father”. As I attend the International military tattoo at the Spasskaya Tower, hear the rousing cheer reverberating through the Red Square at night for the Sri Lankan Armed Forces band and especially the young Lankan army man bearing the Lion flag and singing ‘Katyusha’ (the Soviet era tribute to the legendary rocket); shake hands with the guest of honor, much-decorated WW II veteran General Gennady Zaitsev of the legendary Spetsnatz ‘Alpha Group’ (one of the world’s topmost counter-terrorist special forces); receive an exact replica of the key to the Spasskaya tower of the Kremlin; sit as a member of the Sri Lanka delegation across the table from Deputy Defense Minister Colonel General Alexander Fomin at the Russian Ministry of Defence; and look across the Moscow river at night at the massive Stalin-era Hotel Ukraine (now the Radisson) where I stayed with my parents on our first visit in 1964, I have not “forgotten the face of my father”. Kamer Nizamdeen Affair: Islamic Terrorist, Islamophobia Or Cover-Up? Get ready for the severe winter which is fast approaching. I have been there Puthe during Moscow winter. Got a good overcoat? Can send mine. Dayan will become this country’s foreign minister under a future mahinda or Sirisena government. He will go into oblivation like his late father under a Ranil government. 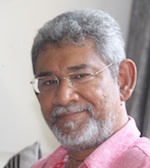 Mervyn De Silva wrote in English. That’s all. A man who drank and ate well and plenty, enjoyed life the way he could, had plenty of sadness and worries, had hatred and took revenge the way he could (decently). Old school man – cultured man, never violent. He did so many acrobats in life. Then died 20 years ago. 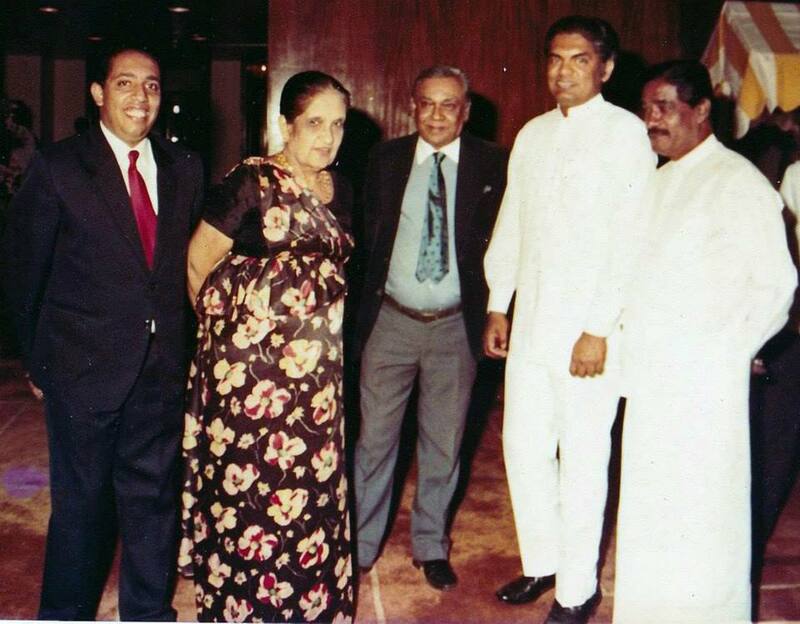 May Mervyn De Silva rest in peace. Let us who are still living continue with our lives. 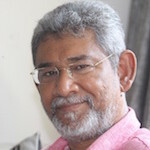 Mervyn De Silva’s legacy is Dayan. Sadly not a good one for the country. Mervyn De Silva lived a life, died and gone. So what. Many billions have undergone this. An unprincipled brute. With his writing not only he decieved the nation he deceived himself.